‘Stranger Things’ is without a doubt, one of Netflix’s most popular and successful original series. With a hooked fanbase and several adaptations of the series in different formats, including a mobile game, a Playstation VR game and an upcoming Telltale game, it’s certainly been on a huge hype ever since it was released back on July 15th, 2016. Now, the franchise will be adapted into a comic book series, which is due to be released in September. The first series will focus on character Will Byers (played by Noah Schnapp) and about his time in the alternate dimension, AKA the “Upside Down” as his friends describe it. The character spends nearly all of the first season in the show in the mysterious universe, but his experience is hardly seen. So if you’ve wanted to see more about the scary “upside down” universe (but just in comic book form), here’s your chance, which should still be an exciting prospect for all ‘Stranger Things’ super fans. The comic book series will be published by Dark Horse, who have previously worked on other popular franchises such as ‘Star Wars’ and ‘The Avengers’. They announced the news of the new comic via Twitter with cleverly placed upside down text. While the series will only be four comics in length, Dark Horse signed a long-term deal to “expand the world of Hawkins (the fictional town where the series is set) and its many inhabitants”. As for the story itself, there hasn’t been any full details of it, however, there are a couple of previews that have been released, where they will show Will trying to run away from one of the monsters, called “Demogorgon”. 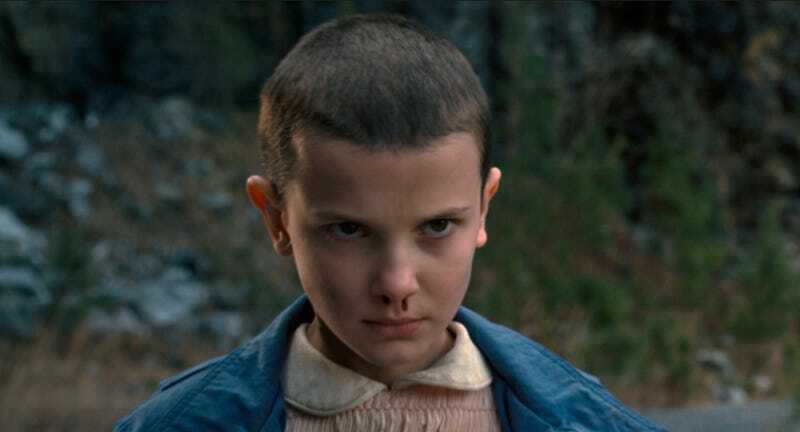 Plus, there’s also a scene that shows him seeing the character of Eleven (played by Millie Bobby Brown) while he’s in the Upside Down dimension. The announcement of the comic book series follows the news of the ‘Stranger Things’ franchise wishing to cash in on its 80’s charm through other upcoming adaptations, such as video games and even books. What parts are you most looking forward to seeing in the Stranger Things comics? What are you hoping for, with the franchise intentions with even more ‘Stranger Things’ games on the horizon? Tell us in the comments section down below, and Netflix might even just see your idea.